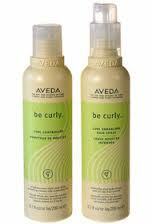 Curl Controller and Curl Enhancing hairspray ~ Aveda's newest styling products in the Be Curly collection. Be Curly Curl Controller is a unique liquid complex that elongates & smooths curly to tight curly hair while moisturizing and conditioning, creating touchable curls with natural movement. This styling product provides moderate control and hold for those beautiful curls. Be Curly enhancing hair spray is formulated to enhance all curly and wavy hair types providing natural luster with all day frizz control and humidity defense. Proven to reduce frizz by 20%. Aveda's newest hairspray leaves the hair touchable and is safe for color treated hair. Know of someone who loves Fashion and current trends? Someone who lives in Southwest Florida and is interested in becoming a part of the Beauty Industry? Our AVEDA salons are in search of apprentices to join our team! Call Kristy at our Aveda lifestyle Coconut Point Mall location 239-498-5004. Looking to minimize frizz and volume in curly hair? 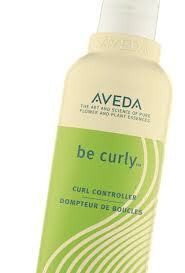 Stop in and try one of Aveda's newest styling products~ Curl Controller. Ideal to condition and loosen curl for more of a controlled style.